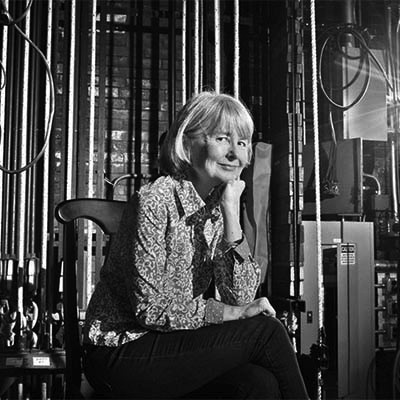 Liz Diamond has taught at Yale School of Drama and served as a Resident Director of Yale Repertory Theatre since 1992. She has served as the Chair of the Directing department since 2004. Among the more than 50 productions she has directed at Yale Rep and nationally are many US and world premieres, including Jordan Harrison's Futura, Catherine Treischman's Crooked, Lucinda Coxon's Happy Now?, Octavio Solis' Gibraltar, Marcus Gardley's Dance of the Holy Ghosts, and Suzan-Lori Parks' The America Play, The Death of the Last Black Man in the Whole Entire World, Betting on the Dust Commander, and Imperceptible Mutabilities in the Third Kingdom. Productions of classical and modern works include Stravinsky’s The Soldier’s Tale, which she also translated, Blaise Candrar’s La Prose du Transsibérien, Shakespeare's The Winter's Tale, Shaw's Mrs. Warren's Profession, and Pinter's Betrayal. She has also directed major new translations of Racine's Phedre, Molière's School for Wives, Brecht's St Joan of the Stockyards, and Strindberg's Miss Julie. Ms. Diamond has directed documentary theatre projects in collaboration with Anna Deavere Smith at the Institute for the Arts and Civic Dialogue at Harvard University, the Yale School of Medicine, and the Lincoln Center Institute. She has been awarded the OBIE and the Connecticut Critics Circle Award for Outstanding Direction. She has taught directing at La MaMa Umbria, the Hong Kong Academy of Performing Arts, and the Shanghai Theatre Academy, where she is a Visiting Professor. After completing her MFA at Columbia University in 1983, Ms. Diamond worked as a freelance director and served as the Resident Director at New Dramatists in New York. In 1978, while serving as a Peace Corps Volunteer in Ouagadougou, Burkina Faso, Ms. Diamond cofounded the Projet de Théâtre Rurale Voltaïque, which grew into the Atelier de Théâtre Burkinabe and still thrives today.